Reflexology is a Chinese theory stating that each organ is connected to a specific foot zone. 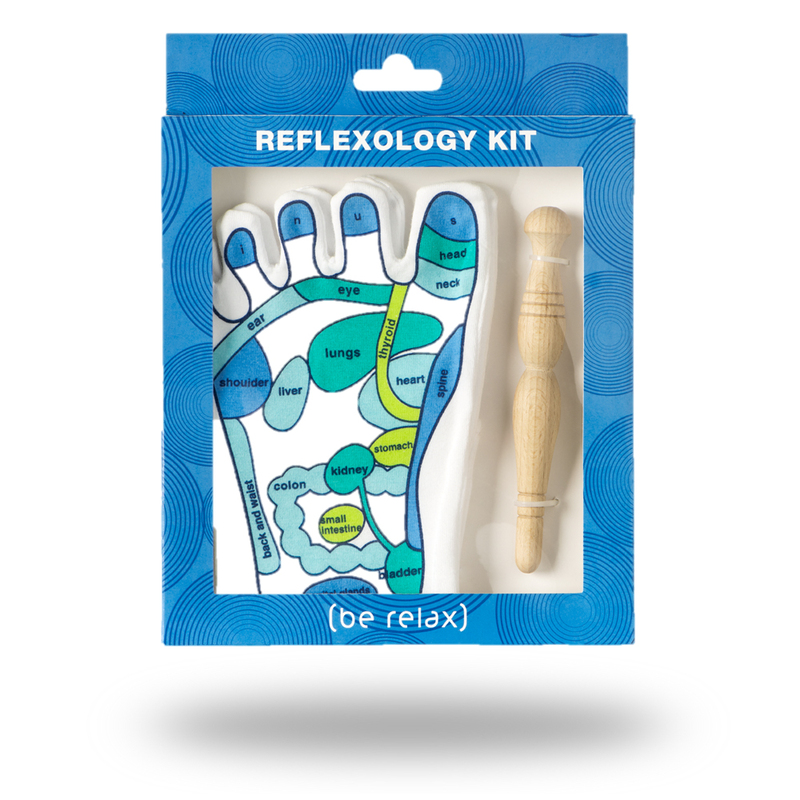 These reflexology socks identify these zones and, thanks to the stick supplied in the Reflexology Kit that will stimulate these zones, you could realize a deep foot massage! Original gift for your family, your friends or yourself. 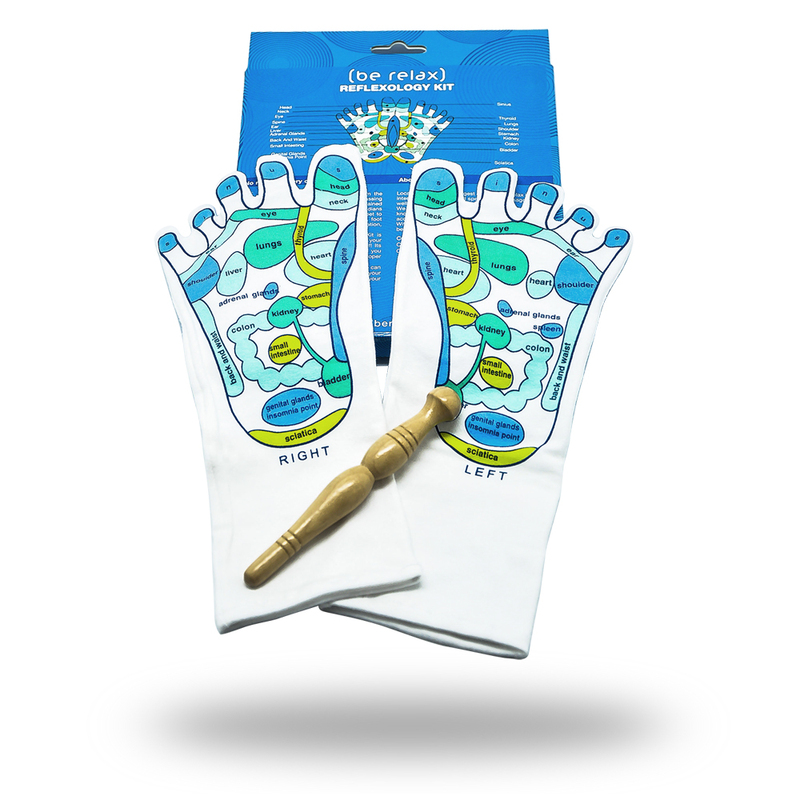 The detailed and intelligible printing of the foot zones on the socks, make it easy and fun to learn about foot reflexology. Thanks to the extensible fabric, the reflexology socks can fit to every kind of morphology. 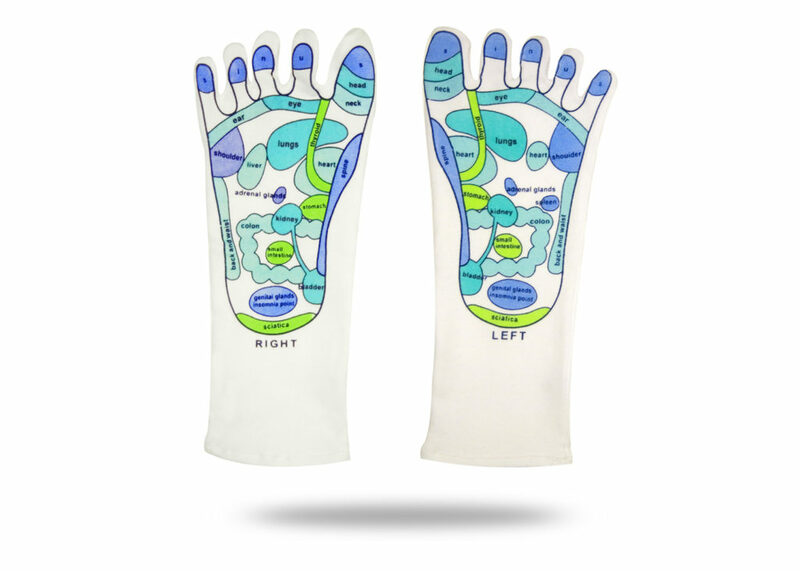 Put on the reflexology socks, « left » on the left foot and « right » on the right foot, with the printed body parts on the sole of the foot. 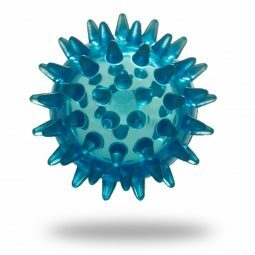 Massage the areas wanted with the stick by applying slight circular pressure.